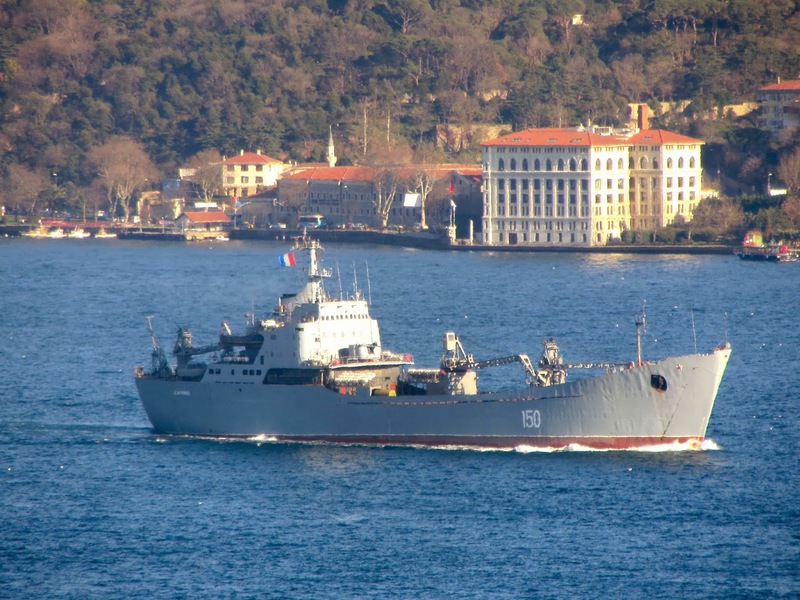 Today, two Ropucha class landing ship from Russian Navy passed through Bosphorus returning from their Syrian deployment. As the political crisis in Ukraine particular in Crimea is increasing it is possible that Russian Navy wanted these valuable assets closer to home. Large landing ship Kaliningrad passing through Bosphorus. Photo: seabreeze.org.ua via webcam. Large landing ship Minsk passing through Bosphorus. Photo: seabreeze.org.ua via webcam. 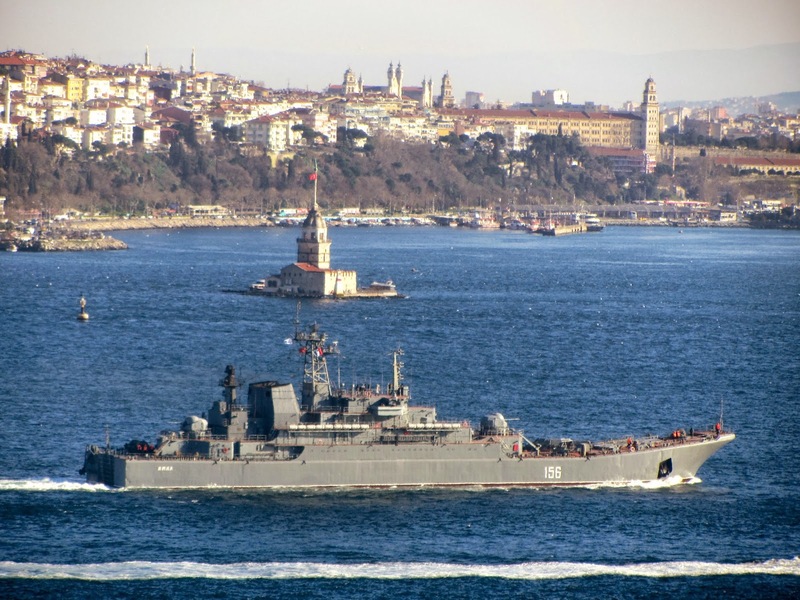 According to the blog Warships On Bosphorus two more Russian ships started their Syrian deployment last week: Alligator class landing ship Saratov and Ropucha class landing ship Yamal. The Ropucha class warship 156 Yamal passing through Bosphorus on 20 February 2014. Photo: Eser Çelebiler. Used with permission. The Alligator class warship 150 Saratov passing through Bosphorus on 20 February 2014. Photo: Eser Çelebiler. Used with permission. What’s the probability of Yanukovich being on these ships?